We are always looking for volunteers; you can volunteer regularly or once, we'll work with you! 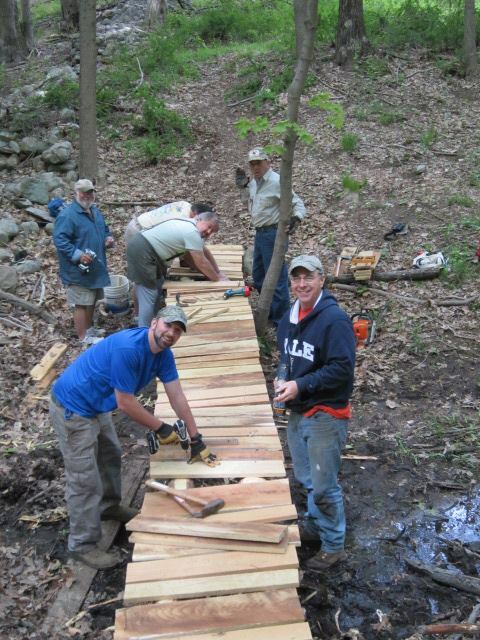 Volunteer opportunities include helping with mailings, manning the desk at events, clearing trails, you name it! Lewisboro Land Trust is pleased to announce an exciting new service for our community. In response to many requests, we are offering individual consultations on identifying native and invasive plants on your property to help you naturalize your yard. Naturalist Jim Nordgren will come to your home, walk your property and advise on how you can get rid of invasives and utilize native plants in your landscaping. Jim has a Masters degree from Yale School of Forestry, is a Watershed Certified Forester, and is widely acknowledged as one of the most informed and respected authorities on this subject in the area. The fee for this service is: $125 for 1-1/2hr site visit and consultation; $200 for site visit, consultation, and written personalized plan. Please contact events@lewisborolandtrust.org, or fill out the form below (please put "native plant identification" in the comment field) to schedule an appointment or for any inquiries regarding this service. LLT is committed to preserving the native landscape, with its value for biodiversity, water protection and the quality of life we treasure.